Last spring, a group of neighbors in the UC Irvine community (University Hills) got together and secured a group discount on rooftop solar. More than 60 homes in the neighborhood got solar panels through this program. Now, we have started another round of the program, and we want to invite other communities in Orange County to join us. We call this initiative “OC Goes Solar.” We are completely volunteer-run. Our mission is to help accelerate the transition to clean, renewable energy. To select contractors, we sent out an RFP and vetted the applicants (please see below for a full description of this process). We selected two contractors: Aikyum Energy and Altair Solar. Both have offered us group discounts on rooftop solar panels—below their retail rates. Both have also offered excellent warranties. After each cost estimate, we have included the estimated cost after the federal tax credit of 30 percent. This tax credit will start to decline after 2019, which makes now a good time to go solar. Please note that the prices per watt are for the average system size. For smaller systems, the price per watt will be slightly higher, for larger systems, slightly lower. There may also be other variations in cost depending on factors such as the condition and position of your roof. How will I choose between the two companies? The two companies are offering similar products at similar prices. We chose two because we are hoping to have a lot of signups so we wanted to expand capacity, and we also wanted to give customers a choice. You could get quotes from both and go with the better offer. Ultimately, we think you can’t go wrong—either company will provide great service at a great price. How will I choose between the different panels? To choose among the different panel types, we recommend discussing the options with the contractor(s) to determine the best fit for your home. If I go solar, do I need to switch to a time-of-use rate plan? How will that affect my bill? Yes, if you get solar panels, your Southern California Edison (SCE) plan will automatically change to what’s known as “time-of-use.” (You may already have a time-of-use plan. All customers are incrementally being transitioned to this type of plan.) What this means is that you get charged at different rates at different times of day. Please see here for some information from SCE. This article also contains a helpful explanation. This spring, a group of neighbors in the UC Irvine community volunteered to participate in the evaluation of solar installation contractors that would serve the OC Goes Solar program. The group prepared and announced a Request for Proposal (RFP) explaining the goals and intent of the OC Goes Solar program. Contractors were given one month to submit their proposals. The contractors were initially ranked by total combined score. Following the evaluation and scoring of each RFP, all five contractors were invited to University Hills for a 30-minute interview with the selection committee. During the interview, the selection committee asked questions that expanded on business practices, construction/installation techniques, and capacity to accommodate the potential demand by interested homeowners. We also compiled reviews from sites such as the Better Business Bureau, Yelp, Google, Glassdoor, and solar company review sites. 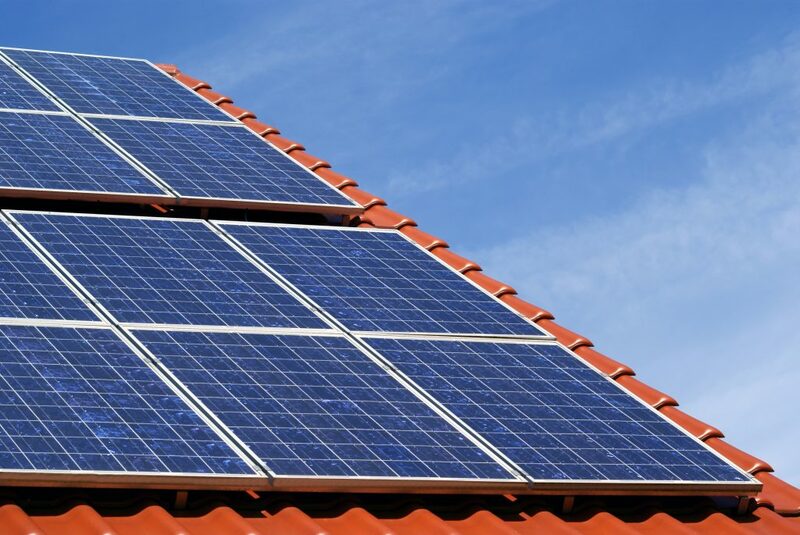 Based on all of the above criteria, the selection committee identified two solar installation contractors to serve the homeowners participating in OC Goes Solar.